Sweet! I have legs and arms now! You..... Digivolved Tsun.. I mean Bearmon. I see a digimon digivolve, so i fly over. "Hello my name is Hyokomon"
I turn and look at Frank "Hi my names Trevaus"
I motion for Falconmon as I fly over to Trevaus's shoulder. Hi. Sooooo what do you what to do? I'm bord. "We're just chilling here right now, little dude"
"hey I have an idea. Let's race to that montain! "Great idea Bearmon. Pluse I'm good at running." "You can do that if you want." I sit down. "But I'm taking a nap." I shrugged. "come on. Lets follow"
Merukimon Runs in and Looks at the pathetic village. 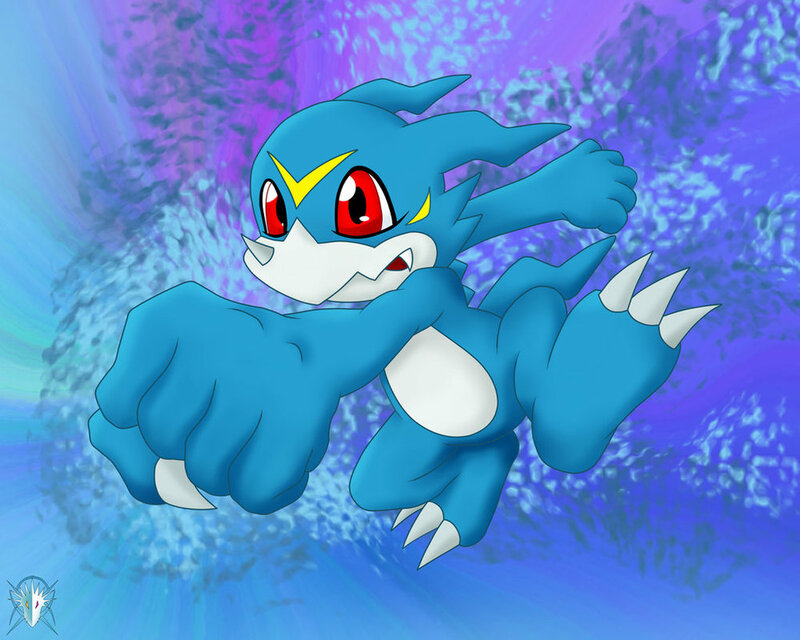 He saw a Fresh digimon look up at him in aw, and he squashed it under his foot. Omnimon hovers down from the terminal. "Stop there!" Merukimon snickers at the knight "Do You really think you can face the god of theives, Omnimon?" Merukimon gets out Aztec "You are dead where you stand" Merukimon runs at him "Thousand fist!" Merukimon jumps back so he doesn't it the sheild. "Good reflexs" He Complements. "Spiritual Enchant!" Merukimon runs at him with Lightining quick speed and slices at him. I meet his knife with my sword. I need to draw this fight away from the village. I break away and raise my hand "Supreme Cannon"